Linda Joyce Dinndorf age 66 of Saint Cloud passed away peacefully on Saturday April 13, 2019 surrounded by her family after a long battle with cancer. A Celebration of Linda’s life is planned for May 11, 2019 at 11:00 AM at the Life Assembly of God Church, 2409 Clearwater Rd, Saint Cloud, Minnesota. Born and raised in Saint Cloud, Minnesota, Linda graduated from Cathedral High School and received her LPN degree at Brainerd Technical College. She was employed as a LPN at the Saint Cloud Hospital. In 1973 she married John Rau, also from Saint Cloud, Minnesota. Together they had three daughters and moved to Morris, Minnesota where they continued to raise their family. While in Morris, Linda obtained a Bachelor’s degree in Language Arts from the University Minnesota Morris and Master’s degree in Theology from St. John’s University-School of Theology. After her daughters completed high school, Linda moved back to Saint Cloud. 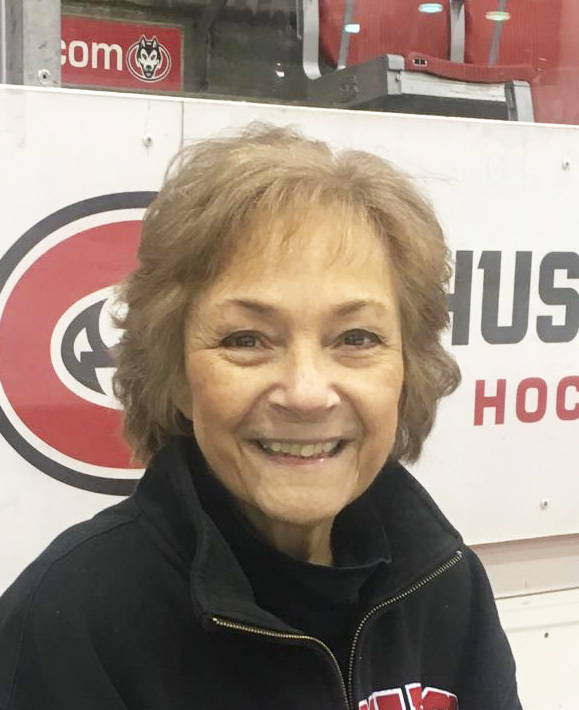 Linda loved Saint Cloud State University Huskies Hockey and was a season ticket holder. She was an avid quilter and enjoyed making things for family and friends. Family was extremely important to Linda. She loved and was proud of her daughters, her sons-in-law and she enjoyed caring for her grandchildren. She was a kind, loving, and loyal friend. Linda also had a very strong faith and those who knew her felt blessed to have her in their lives. Linda is proceeded in death by her father, Louis (Louie) Dinndorf. She is survived by her three daughters, Clare (Dan) Reitsma, Anne Hutchinson, and Katie (Todd) Case, her former husband, John and his spouse, Karen Rau, 5 grandchildren, Izaac Hutchinson, Caylin Reitsma, Colton Reitsma, Kora Hutchinson and Arya Hutchinson, her mother, Joyce Dinndorf, siblings, Beth (Ted) O’Connell, Paul (Kathy) Dinndorf, Steve Dinndorf, Amy (Peter) Dienslake and 8 nieces and nephews. The family of Linda wishes to extend our sincere thanks to the St. Croix Hospice team for the exceptional and compassionate care provided to Linda over the last months of her life. Benson Funeral Home invites you to use the form below to share your memories and offer your sympathy to the family of the deceased. We will be honored to pass them along. Click Here for a list of local florists. Copyright © Benson Funeral Home. All Rights Reserved.